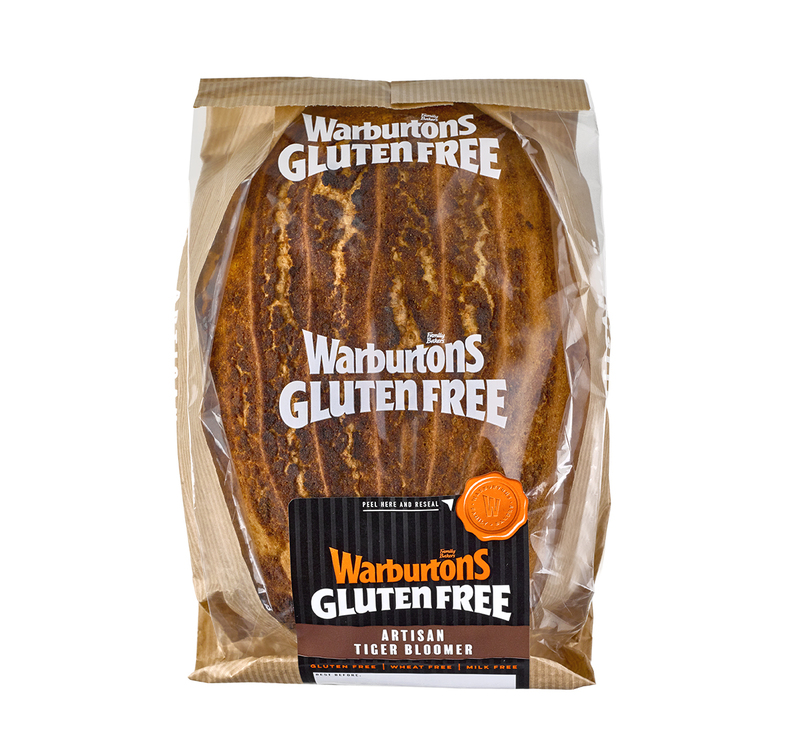 ** A great way to use up any of your Warburtons Gluten Free bread is by making bread crumbs! Just cut off the crusts, pop a couple of slices in a food processor and voila! You can use fresh or stale slices, dependent how much you have left! Cut the fish into strips 2-3cm wide. Get yourself three shallow bowls and place the GF flour seasoned with salt & pepper in the first one, the beaten egg in another and breadcrumbs in the third. Coat each fish strip lightly in flour, then dunk into the egg (making sure that the piece is covered) and finally coat in breadcrumbs. Lay your finished fish fingers on greaseproof paper to make sure they don’t stick and repeat for each piece of fish. Cook in the oven for 10-12 minutes, turning halfway through until golden brown. Cut 4 slices of Artisan Tiger Bloomer, butter, add a dollop of tartare sauce and a handful of salad leaves to one piece. Top with the crispy fish fingers, another slice of buttered Tiger and tuck in!